This Party Bus holds up to 24 passengers. 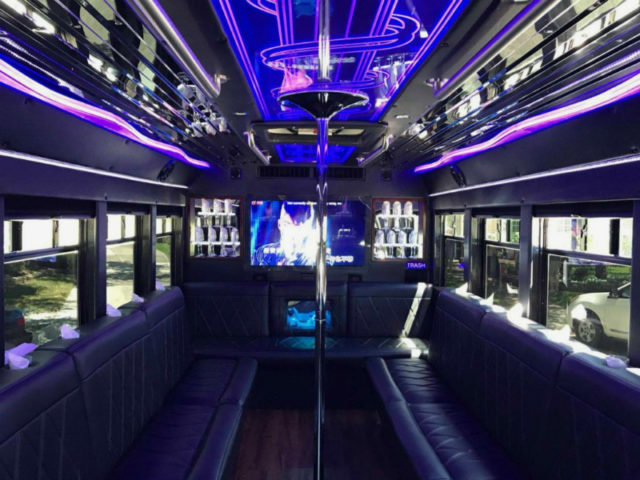 It is equipped with premium wrap around leather seating, an amazing laser light show with interchanging colored bulbs, and an optional dance pole. Feel free to use the wet bar that will come pre-stocked with ice and waters for you and your guests. The 24-passenger party bus also comes with an amazing surround sound system. Feel free to get together a playlist of music you would like to hear while being escorted around town. You can use the radio feature or play your playlist with your smartphone or tablet. The music system can be utilized either via Bluetooth or with a provided auxiliary cable. A professional chauffeur will take you around the Houston area as well. He/she will open the door for you, make sure everyone is comfortable, as well as picking you up and dropping you off right in front of your destination so everyone can see your stylish 24 passenger party bus! 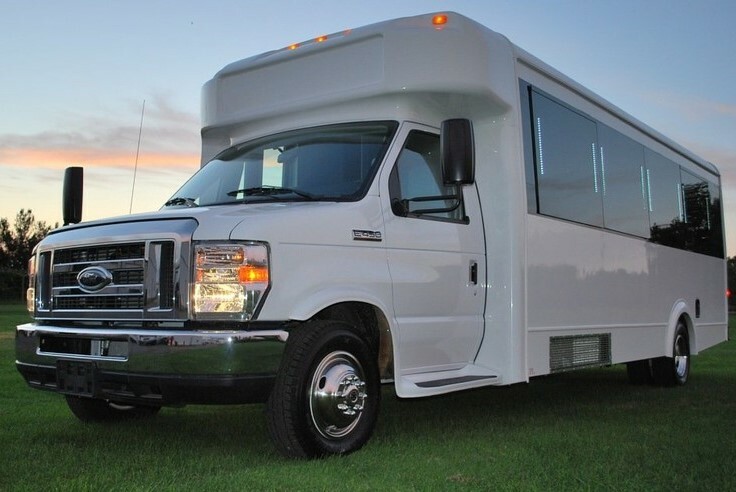 This party bus is perfect for kid’s parties, Christmas light tours, graduation parties, brewery tours, proms, and retirement parties.